Facebook has launched tougher rules on brand safety because it admits some marketers are "feeling uneasy" about where their ads have appeared and want "clearer guidance". 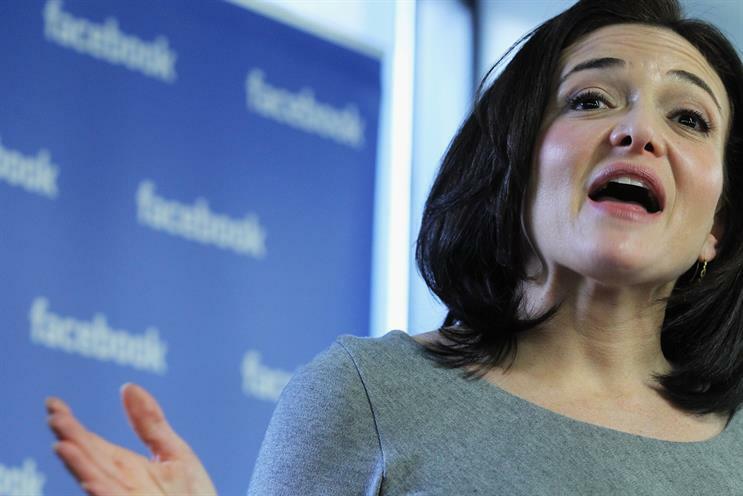 Sheryl Sandberg, Facebook’s chief operating officer, who was speaking at the Dmexco conference in Germany, said the world’s biggest social media company felt a sense of "responsibility" and wants to give businesses "more control over where your ads run" – before, during, after campaigns. As part of what Facebook calls its "monetisation eligibility standards", it told advertisers it will not allow ads in a number of contentious areas including "real-world" tragedy and conflict, other "violent" and "extremist" content, the "misappropriation of children’s characters". Facebook is also introducing more detailed post-campaign tools for advertisers to vet ad placement on its own platform in in-stream ads and in Instant Articles and on third-party sites that are part of Facebook Audience Network. Facebook added that it hopes to win accreditation from the industry-backed US Media Ratings Council "over the next 18 months" to allay brands’ concerns about measurement and third-party verification. Facebook said it is seeking MRC accreditation in three areas: first-party ad impressions (ads that are served by Facebook), third-party viewability (independent checks on whether ads are viewed) and a new, two-second video buying option. The company acknowledged critics have said Facebook marks its own homework and it said it is working with two ad tech companies, DoubleVerify and Integral Ad Science, to improve brand safety controls and it is set to join the US ad industry-supported Trustworthy Accountability Group’s "Certified Against Fraud" programme. Carolyn Everson, vice-president of global marketing solutions, who was also in Dmexco, admitted Facebook has been prompted to make these changes after attending this year’s Cannes Lions. "Some marketers told me they are feeling uneasy," she said. "Chief among their concerns are the issues of viewability, online ad metrics and brand safety. We hear them loud and clear." That looked like a tacit acknowledgement of Facebook’s repeated problems in the last year over brand safety and measurement from fake news to young audience numbers that are higher than US census data. Everson said the new monetisation eligibility standards "will provide clearer guidance around the types of publishers and creators eligible to earn money on Facebook, and the kind of content that can be monetised". Creators and publishers must have "an authentic, established presence" on Facebook "over a sufficient period of time" before ads can run next to their content, the company said as part of new guidelines. It was significant that Facebook’s announcement came at Dmexco because a number of top advertisers and agencies, including Procter & Gamble’s chief brand officer, Marc Pritchard, and WPP’s chief executive, Sir Martin Sorrell, were attending. Sandberg said in her speech at Dmexco that companies face significant challenges because of digital disruption but building online communities can help to drive growth. In a sign that brands are demanding greater clarity from Facebook and the broader digital advertising eco-system, Facebook said: "We know how important it is to provide the right insights to our clients so they can focus on business growth." Facebook already works with 24 third-party companies on ad measurement. It added it is in "active discussions" with Jicwebs, the UK's joint industry currency for online advertising, about signing up to its digital trading standards group principles. Should advertisers be worried about Facebook's false audience figures? Rooting out the click forgers - is the net closing on fake influencers?